It can be tough to find good in the world, especially of late. If we allow it, we can be bombarded by negative on top of negative on top of negative, all before our first sip of morning coffee. The lucky ones among us are able to filter out some or most of it an go about our daily lives, maybe even catching a smile or two along the way. In a society that tends to indulge the weaker souls, and where the insecure lend other’s words far too much meaning, there is always small glimmers of hope to be found. I recently made such a discovery. I was raised in San Francisco and my formative years occurred between two bookends – the former being post-beatnik era and the latter being pre-social media. It was a fun place to grow up and, looking back, the time was equally as interesting. Although the city I love scarcely resembles that of my childhood, in my heart it will always maintain the coveted title of “home”. As an adult, I have lived several places since – Los Angeles CA, San Diego CA, Spring TX, Houston TX, and currently in Austin TX. Although I’ve tried to assimilate into each culture, frankly, there have been times in each city where I realized I would forever be an outsider, in some places more than others (cough cough…Houston). Having lived in Austin for four years now, I will admit it has grown on me. Commonly referred to as “the blue dot in the red state”, Austin has culture, scenery, the people are friendly, and there’s something for all interests both indoors and outdoors. Minus the beach, I’ve found San Diego are Austin are quite similar both in culture and demographics, and although landlocked, Austin does have the spectacular Colorado River flowing straight through downtown, which provides the water goers and related commerce plenty of playtime for 10 months of the year. 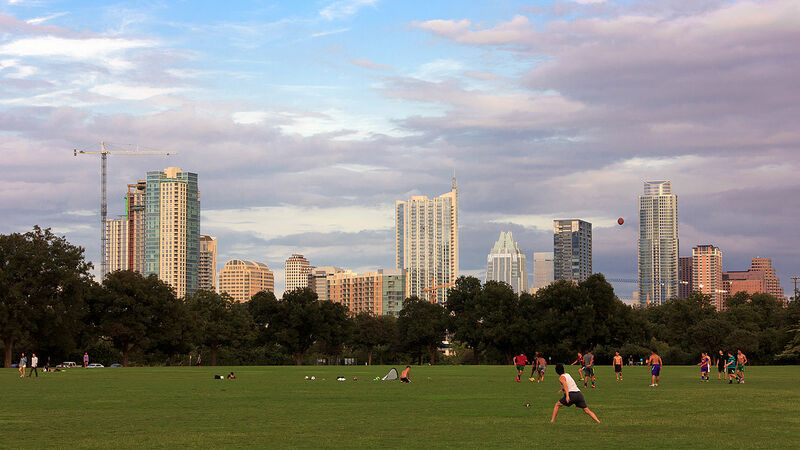 Austin also has it’s share of public parks, most notably, Zilker Park, which stretches some 350 acres along the south side of the Colorado River, directly across the water from downtown. 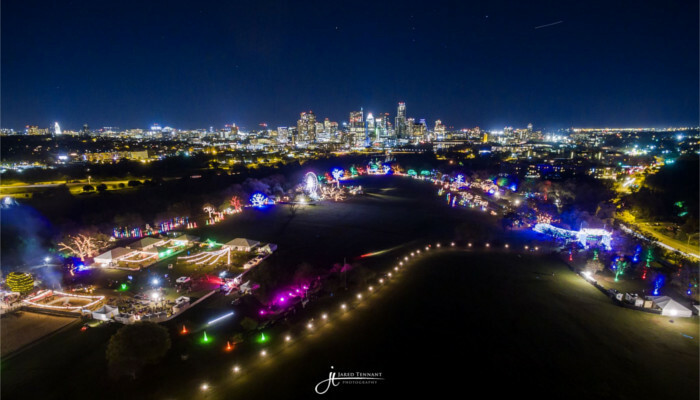 Zilker, which hosts the world famous South By South West festival every spring as well as the Austin City Limits music festival every fall, also spends the month of December welcoming both visitors and residents alike to it’s Trail of Lights festival. 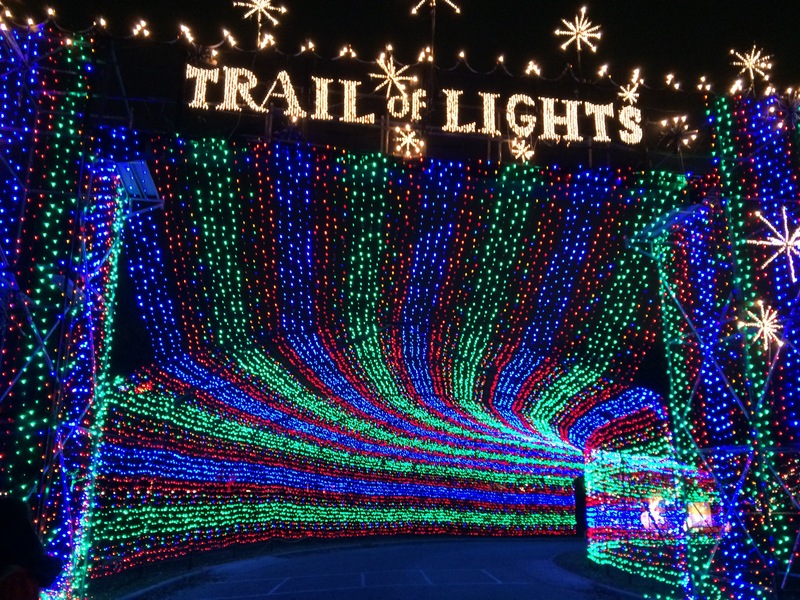 Late last week, one of my most favorite, and more sensorily challenged, patients came into the office and exclaimed how excited he was to visit the Trail of Lights that evening. Although I shared in his excitement momentarily, I was admittedly a bit taken aback. Having walked the trail last December, I can vouch for it’s ability to over stimulated visually, auditorally (often there’s music connected to the dancing lights), and spatially as you and 50,000 of your closest friends drudge along the path 2.3 mile path at a snail’s pace. Yes, you read that right. The trail welcomes 50,000 people per night. So how was this poor boy going to manage the potential for sensory overload that awaited him? In asking his dad this very question, I was pleasantly surprised (ok, I was shocked) to learn how amazing the City of Austin is in accommodating families of children and adults who struggle with over-stimulation. 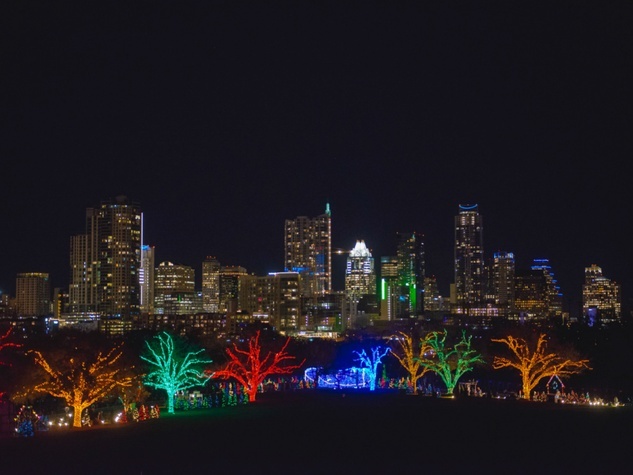 Every year, the night before the attraction opens to the general public, Austin invites all families who have a special needs individual in the home – child or adult – to attend a night specifically designed for them. The dancing lights are made stationary, the crowds are kept thin, the music is removed from the loud speakers and is available in headsets should a participant be interested in hearing the melody, free snacks and drinks are offered, and volunteers provide golf cart rides to anyone who is tired, hungry, cold, overwhelmed, ready to go home, or simply just doesn’t feel like walking any longer. Participants are even allowed to take pictures in and around the exhibits; a luxury not afforded to anyone else. 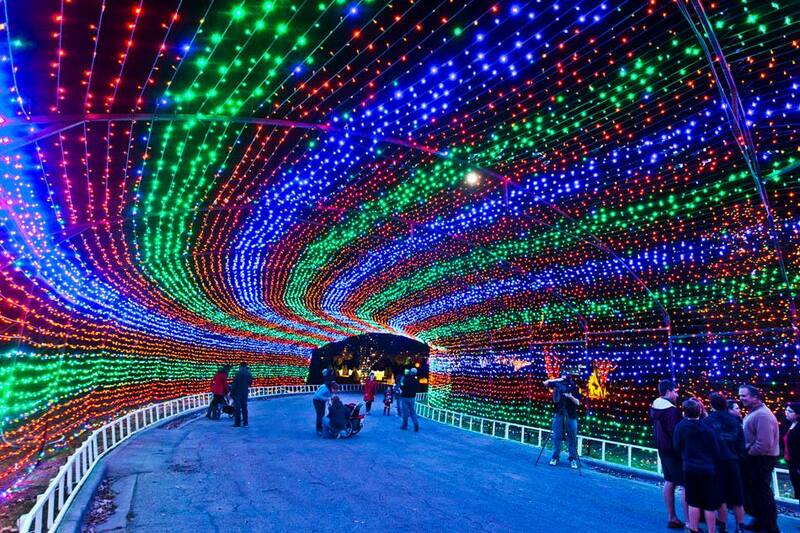 My little man came back for VT today and I couldn’t wait to hear all about his experience at the Trail of Lights. When I carefully asked him what he thought, he simply replied “I got free hot chocolate. It was a good night”. Posted on December 14, 2016, in From My Perspective.... Bookmark the permalink. 1 Comment. Really like your stories. Put them together in an ongoing memoir.